This ALPINE WHITE 2019 BMW X1 xDrive28i might be just the vehicle for you. This one's a deal at $41,345. This safe and reliable vehicle has a crash test rating of 5 out of 5 stars! It has a sleek alpine white exterior and a black sensa tec interior. Call today to test it out! Ray Catena BMW, a top BMW dealer in New York, is known throughout White Plains, Tarrytown, and Yonkers for our wide selection of luxurious new and pre-owned BMW vehicles and uncompromising customer service. BMW of Westchester truly has every one of your automotive needs covered. FROM NEW AND USED SALES TO PARTS AND SERVICE, BMW OF WESTCHESTER AIMS TO PROVIDE A TRULY STELLAR AUTOMOTIVE EXPERIENCE. The only question left now is how we can best serve you. 914-761-6666 - www.westchesterbmw.com. This MINERAL GREY 2019 BMW X1 xDrive28i might be just the vehicle for you. This one's a deal at $41,545. This safe and reliable vehicle has a crash test rating of 5 out of 5 stars! A sharp mineral grey exterior and a sensa oyster/black interior are just what you need in your next ride. This is the vehicle for you! Give us a call today and don't let it slip away! 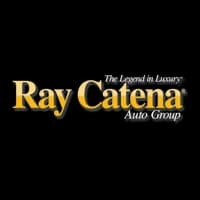 Ray Catena BMW, a top BMW dealer in New York, is known throughout White Plains, Tarrytown, and Yonkers for our wide selection of luxurious new and pre-owned BMW vehicles and uncompromising customer service. BMW of Westchester truly has every one of your automotive needs covered. FROM NEW AND USED SALES TO PARTS AND SERVICE, BMW OF WESTCHESTER AIMS TO PROVIDE A TRULY STELLAR AUTOMOTIVE EXPERIENCE. The only question left now is how we can best serve you. 914-761-6666 - www.westchesterbmw.com. This SUNSET ORANGE M 2019 BMW X1 xDrive28i might be just the vehicle for you. We've got it for $41,545. This vehicle is one of the safest you could buy. It earned a crash test rating of 5 out of 5 stars. A classic sunset orange m exterior and a black sensa tec interior are just what you need in your next ride. Don't wait until it is too late! Call today to schedule an appointment. Ray Catena BMW, a top BMW dealer in New York, is known throughout White Plains, Tarrytown, and Yonkers for our wide selection of luxurious new and pre-owned BMW vehicles and uncompromising customer service. BMW of Westchester truly has every one of your automotive needs covered. FROM NEW AND USED SALES TO PARTS AND SERVICE, BMW OF WESTCHESTER AIMS TO PROVIDE A TRULY STELLAR AUTOMOTIVE EXPERIENCE. The only question left now is how we can best serve you. 914-761-6666 - www.westchesterbmw.com. This GLACIER SILVER 2019 BMW X1 xDrive28i might be just the vehicle for you. This one's a deal at $41,545. This vehicle scored a crash test safety rating of 5 out of 5 stars. It has a ravishing glacier silver exterior and a black sensa tec interior. This is the vehicle for you! Give us a call today and don't let it slip away! Ray Catena BMW, a top BMW dealer in New York, is known throughout White Plains, Tarrytown, and Yonkers for our wide selection of luxurious new and pre-owned BMW vehicles and uncompromising customer service. BMW of Westchester truly has every one of your automotive needs covered. FROM NEW AND USED SALES TO PARTS AND SERVICE, BMW OF WESTCHESTER AIMS TO PROVIDE A TRULY STELLAR AUTOMOTIVE EXPERIENCE. The only question left now is how we can best serve you. 914-761-6666 - www.westchesterbmw.com. This DARK OLIVE 2019 BMW X1 xDrive28i might be just the vehicle for you. This one's a deal at $41,545. Drive away with an impeccable 5-star crash test rating and prepare yourself for any situation. It has a charming dark olive exterior and a sensatec oyster/blk interior. Interested? Call today and take it for a spin! Ray Catena BMW, a top BMW dealer in New York, is known throughout White Plains, Tarrytown, and Yonkers for our wide selection of luxurious new and pre-owned BMW vehicles and uncompromising customer service. BMW of Westchester truly has every one of your automotive needs covered. FROM NEW AND USED SALES TO PARTS AND SERVICE, BMW OF WESTCHESTER AIMS TO PROVIDE A TRULY STELLAR AUTOMOTIVE EXPERIENCE. The only question left now is how we can best serve you. 914-761-6666 - www.westchesterbmw.com. This BLACK SAPPHIRE 2019 BMW X1 xDrive28i might be just the vehicle for you. This one's a deal at $41,950. Stay safe with this vehicle's 5 out of 5 star crash test rating. A sleek black sapphire exterior and a black sensa tec interior are just what you need in your next ride. Call today and take this one out for a spin! Ray Catena BMW, a top BMW dealer in New York, is known throughout White Plains, Tarrytown, and Yonkers for our wide selection of luxurious new and pre-owned BMW vehicles and uncompromising customer service. BMW of Westchester truly has every one of your automotive needs covered. FROM NEW AND USED SALES TO PARTS AND SERVICE, BMW OF WESTCHESTER AIMS TO PROVIDE A TRULY STELLAR AUTOMOTIVE EXPERIENCE. The only question left now is how we can best serve you. 914-761-6666 - www.westchesterbmw.com. This BLACK SAPPHIRE 2019 BMW X1 xDrive28i might be just the vehicle for you. This one's on the market for $41,950. This one's a keeper. It has a crash test safety rating of 5 out of 5 stars. For a good-looking vehicle from the inside out, this car features a sleek black sapphire exterior along with a black sensa tec interior. View this beauty and our entire inventory today! Call for more details. Ray Catena BMW, a top BMW dealer in New York, is known throughout White Plains, Tarrytown, and Yonkers for our wide selection of luxurious new and pre-owned BMW vehicles and uncompromising customer service. BMW of Westchester truly has every one of your automotive needs covered. FROM NEW AND USED SALES TO PARTS AND SERVICE, BMW OF WESTCHESTER AIMS TO PROVIDE A TRULY STELLAR AUTOMOTIVE EXPERIENCE. The only question left now is how we can best serve you. 914-761-6666 - www.westchesterbmw.com. This ALPINE WHITE 2019 BMW X2 xDrive28i might be just the vehicle for you. This one's on the market for $42,295. For a good-looking vehicle from the inside out, this car features a ravishing alpine white exterior along with a black sensa tec interior. Interested? Call today to take this vehicle for a spin! Ray Catena BMW, a top BMW dealer in New York, is known throughout White Plains, Tarrytown, and Yonkers for our wide selection of luxurious new and pre-owned BMW vehicles and uncompromising customer service. BMW of Westchester truly has every one of your automotive needs covered. FROM NEW AND USED SALES TO PARTS AND SERVICE, BMW OF WESTCHESTER AIMS TO PROVIDE A TRULY STELLAR AUTOMOTIVE EXPERIENCE. The only question left now is how we can best serve you. 914-761-6666 - www.westchesterbmw.com. This DARK OLIVE 2019 BMW X1 xDrive28i might be just the vehicle for you. We're offering a great deal on this one at $42,495. This one's a keeper. It has a crash test safety rating of 5 out of 5 stars. It has a gorgeous dark olive exterior and a black sensa tec interior. Interested? Call today and schedule a test drive! Ray Catena BMW, a top BMW dealer in New York, is known throughout White Plains, Tarrytown, and Yonkers for our wide selection of luxurious new and pre-owned BMW vehicles and uncompromising customer service. BMW of Westchester truly has every one of your automotive needs covered. FROM NEW AND USED SALES TO PARTS AND SERVICE, BMW OF WESTCHESTER AIMS TO PROVIDE A TRULY STELLAR AUTOMOTIVE EXPERIENCE. The only question left now is how we can best serve you. 914-761-6666 - www.westchesterbmw.com. This GLACIER SILVER 2019 BMW X1 xDrive28i might be just the vehicle for you. This one's available at the low price of $42,495. This vehicle scored a crash test safety rating of 5 out of 5 stars. For a good-looking vehicle from the inside out, this car features a beautiful glacier silver exterior along with a black sensa tec interior. Want to learn more? Call today for more information. Ray Catena BMW, a top BMW dealer in New York, is known throughout White Plains, Tarrytown, and Yonkers for our wide selection of luxurious new and pre-owned BMW vehicles and uncompromising customer service. BMW of Westchester truly has every one of your automotive needs covered. FROM NEW AND USED SALES TO PARTS AND SERVICE, BMW OF WESTCHESTER AIMS TO PROVIDE A TRULY STELLAR AUTOMOTIVE EXPERIENCE. The only question left now is how we can best serve you. 914-761-6666 - www.westchesterbmw.com. This JET BLACK 2019 BMW X1 xDrive28i might be just the vehicle for you. This one's on the market for $42,595. This vehicle is one of the safest you could buy. It earned a crash test rating of 5 out of 5 stars. For a good-looking vehicle from the inside out, this car features a sleek jet black exterior along with a sw frmbmw of manhatt interior. Don't wait until it is too late! Call today to schedule an appointment. Ray Catena BMW, a top BMW dealer in New York, is known throughout White Plains, Tarrytown, and Yonkers for our wide selection of luxurious new and pre-owned BMW vehicles and uncompromising customer service. BMW of Westchester truly has every one of your automotive needs covered. FROM NEW AND USED SALES TO PARTS AND SERVICE, BMW OF WESTCHESTER AIMS TO PROVIDE A TRULY STELLAR AUTOMOTIVE EXPERIENCE. The only question left now is how we can best serve you. 914-761-6666 - www.westchesterbmw.com. This MEDITER BLUE 2019 BMW X1 xDrive28i might be just the vehicle for you. This one's a deal at $42,845. Don't skimp on safety. Rest easy with a 5 out of 5 star crash test rating. A classic mediter blue exterior and a sensatec oyster/blk interior are just what you need in your next ride. Interested? Call today and take it for a spin! Ray Catena BMW, a top BMW dealer in New York, is known throughout White Plains, Tarrytown, and Yonkers for our wide selection of luxurious new and pre-owned BMW vehicles and uncompromising customer service. BMW of Westchester truly has every one of your automotive needs covered. FROM NEW AND USED SALES TO PARTS AND SERVICE, BMW OF WESTCHESTER AIMS TO PROVIDE A TRULY STELLAR AUTOMOTIVE EXPERIENCE. The only question left now is how we can best serve you. 914-761-6666 - www.westchesterbmw.com. This MEDITER BLUE 2019 BMW X2 xDrive28i might be just the vehicle for you. We've got it for $42,845. It has a dazzling mediter blue exterior and a sensatec oyster/blk interior. Want to learn more? Call today for more information. Ray Catena BMW, a top BMW dealer in New York, is known throughout White Plains, Tarrytown, and Yonkers for our wide selection of luxurious new and pre-owned BMW vehicles and uncompromising customer service. BMW of Westchester truly has every one of your automotive needs covered. FROM NEW AND USED SALES TO PARTS AND SERVICE, BMW OF WESTCHESTER AIMS TO PROVIDE A TRULY STELLAR AUTOMOTIVE EXPERIENCE. The only question left now is how we can best serve you. 914-761-6666 - www.westchesterbmw.com. This BLACK SAPPHIRE 2019 BMW X2 xDrive28i might be just the vehicle for you. This one's a deal at $42,845. The exterior is a classic black sapphire. Interested? Don't let it slip away! Call today for a test drive. Ray Catena BMW, a top BMW dealer in New York, is known throughout White Plains, Tarrytown, and Yonkers for our wide selection of luxurious new and pre-owned BMW vehicles and uncompromising customer service. BMW of Westchester truly has every one of your automotive needs covered. FROM NEW AND USED SALES TO PARTS AND SERVICE, BMW OF WESTCHESTER AIMS TO PROVIDE A TRULY STELLAR AUTOMOTIVE EXPERIENCE. The only question left now is how we can best serve you. 914-761-6666 - www.westchesterbmw.com. This SPARKLING BROWN 2019 BMW X1 xDrive28i might be just the vehicle for you. This one's on the market for $43,095. This one scored a crash test rating of 5 out of 5 stars. A dazzling sparkling brown exterior and a mocha dakota leather interior are just what you need in your next ride. Good cars sell fast! Give us a call and schedule an appointment today! Ray Catena BMW, a top BMW dealer in New York, is known throughout White Plains, Tarrytown, and Yonkers for our wide selection of luxurious new and pre-owned BMW vehicles and uncompromising customer service. BMW of Westchester truly has every one of your automotive needs covered. FROM NEW AND USED SALES TO PARTS AND SERVICE, BMW OF WESTCHESTER AIMS TO PROVIDE A TRULY STELLAR AUTOMOTIVE EXPERIENCE. The only question left now is how we can best serve you. 914-761-6666 - www.westchesterbmw.com. This MINERAL GREY ME 2019 BMW X2 xDrive28i might be just the vehicle for you. This one's available at the low price of $43,095. A dazzling mineral grey me exterior and a black sensa tec interior are just what you need in your next ride. Don't wait until it is too late! Call today to schedule an appointment. Ray Catena BMW, a top BMW dealer in New York, is known throughout White Plains, Tarrytown, and Yonkers for our wide selection of luxurious new and pre-owned BMW vehicles and uncompromising customer service. BMW of Westchester truly has every one of your automotive needs covered. FROM NEW AND USED SALES TO PARTS AND SERVICE, BMW OF WESTCHESTER AIMS TO PROVIDE A TRULY STELLAR AUTOMOTIVE EXPERIENCE. The only question left now is how we can best serve you. 914-761-6666 - www.westchesterbmw.com. This SUNSET ORANGE M 2019 BMW X1 xDrive28i might be just the vehicle for you. We've got it for $43,445. With a 5-star crash test rating, this is one of the safest vehicles you can buy. It has a suave sunset orange m exterior and a black sensa tec interior. Call or visit to talk with one of our vehicle specialists today! Ray Catena BMW, a top BMW dealer in New York, is known throughout White Plains, Tarrytown, and Yonkers for our wide selection of luxurious new and pre-owned BMW vehicles and uncompromising customer service. BMW of Westchester truly has every one of your automotive needs covered. FROM NEW AND USED SALES TO PARTS AND SERVICE, BMW OF WESTCHESTER AIMS TO PROVIDE A TRULY STELLAR AUTOMOTIVE EXPERIENCE. The only question left now is how we can best serve you. 914-761-6666 - www.westchesterbmw.com. This MINERAL GREY ME 2019 BMW X1 xDrive28i might be just the vehicle for you. This one's on the market for $43,445. This safe and reliable vehicle has a crash test rating of 5 out of 5 stars! It has a timeless mineral grey me exterior and a black sensa tec interior. This is the vehicle you have been waiting for! Call now to schedule a test drive! Ray Catena BMW, a top BMW dealer in New York, is known throughout White Plains, Tarrytown, and Yonkers for our wide selection of luxurious new and pre-owned BMW vehicles and uncompromising customer service. BMW of Westchester truly has every one of your automotive needs covered. FROM NEW AND USED SALES TO PARTS AND SERVICE, BMW OF WESTCHESTER AIMS TO PROVIDE A TRULY STELLAR AUTOMOTIVE EXPERIENCE. The only question left now is how we can best serve you. 914-761-6666 - www.westchesterbmw.com. This DARK OLIVE 2019 BMW X2 xDrive28i might be just the vehicle for you. We've got it for $43,695. A classic dark olive exterior and a black sensa tec interior are just what you need in your next ride. Don't regret waiting on this one! Call today to schedule your test drive. Ray Catena BMW, a top BMW dealer in New York, is known throughout White Plains, Tarrytown, and Yonkers for our wide selection of luxurious new and pre-owned BMW vehicles and uncompromising customer service. BMW of Westchester truly has every one of your automotive needs covered. FROM NEW AND USED SALES TO PARTS AND SERVICE, BMW OF WESTCHESTER AIMS TO PROVIDE A TRULY STELLAR AUTOMOTIVE EXPERIENCE. The only question left now is how we can best serve you. 914-761-6666 - www.westchesterbmw.com. This SPARKLING BROWN 2019 BMW X1 xDrive28i might be just the vehicle for you. This one's a deal at $43,795. Stay safe with this vehicle's 5 out of 5 star crash test rating. It has a sleek sparkling brown exterior and a sensatec oyster/blk interior. Interested? Don't let it slip away! Call today for a test drive. Ray Catena BMW, a top BMW dealer in New York, is known throughout White Plains, Tarrytown, and Yonkers for our wide selection of luxurious new and pre-owned BMW vehicles and uncompromising customer service. BMW of Westchester truly has every one of your automotive needs covered. FROM NEW AND USED SALES TO PARTS AND SERVICE, BMW OF WESTCHESTER AIMS TO PROVIDE A TRULY STELLAR AUTOMOTIVE EXPERIENCE. The only question left now is how we can best serve you. 914-761-6666 - www.westchesterbmw.com. New vehicle pricing includes all offers and incentives. Tax, Title and Tags not included in vehicle prices shown and must be paid by the purchaser. While great effort is made to ensure the accuracy of the information on this site, errors do occur so please verify information with a customer service rep. This is easily done by calling us at (800) 639-2886 or by visiting us at the dealership.